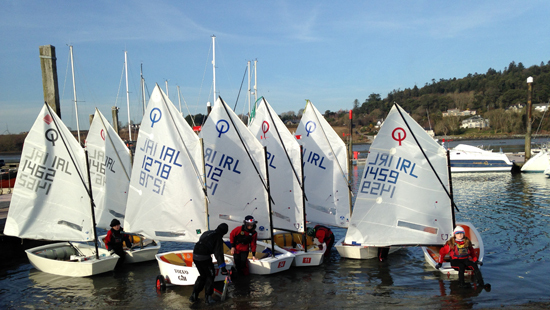 The 2015 season has kicked off with 23 Optimist sailors on the water last Saturday and Sunday for coaching. There is less than a week to go to the start of the CH Marine Optimist Spring Training Week run by IODAI. The event will be held in Baltimore again this year and 36 sailors from the Club are registered to attend this fun week. 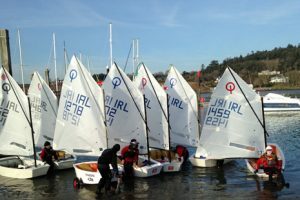 Over 150 Optimist Sailors from around the country will take part which will finish with a Regatta on Friday 20th February. There is a checklist now available on the IODAI website which includes Medical Forms and Lunch Forms which can be completed prior to registration in Baltimore which should greatly speed up the process. All roads lead West as the Toppers and Lasers head to Schull for training.